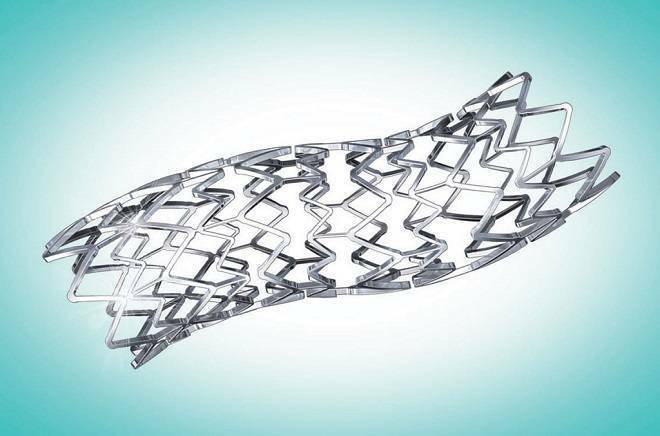 An Indian medical device company has claimed that the drug eluting stent (DES) it locally manufactures is as safe and efficacious as any other DES imported and marketed by global medical device majors in the country. The company, Translumina Therapeutics LLP presented the 10-year patient safety and efficacy data of its drug eluting stent (DES) Yukon Choice PC at an event organised by the American Heart Association in Chicago, Illinois, United States in the presence of leading cardiologists from all over the world to support its claim. The research findings of a randomised control trial called ISAR-TEST 4 presented by leading cardiac expert from Germany, Dr. Sebastian Kufner demonstrated that at 10 years, both Indian made 'Yukon Choice PC' and much used USFDA approved 'Xience' stents showed significantly better results than the Cypher stent regarding major adverse cardiac events, with a risk reduction of 18 per cent and 21 per cent and mortality risk reduction of 18 per cent and 22 per cent, respectively. There were no significant differences between Yukon Choice PC and Xience stents regarding these outcomes. "It was a privilege for me to present the first long-term data of Yukon Choice PC DES of 10 years efficacy and safety. This will not only prove the efficacy and safety of DES for long term, but also gives boost for the long-term success of the procedure of angioplasty after the launch of DES", said Dr Sebastian Kufner, Associate Professor of Cardiology, German Heart Centre, Munich, Germany. However, Yukon Choice PC showed the lowest rate of definite or probable stent thrombosis with a significant risk reduction than the 'Cypher' stent (50 per cent reduction) and even a numerically lower rate as than the 'Xience' stent (29 per cent reduction), the company said. "We are excited with this first long term data which is a new milestone and a benchmark for efficacy and safety of DES Worldwide. Yukon Choice PC showing the lowest Stent thrombosis rates compared to Xience and Cypher at 10 years creates a strong testimony that this technology is truly next generation in terms of safety," Gurmit Singh Chugh, Managing Director, Translumina Therapeutics, said. Prof Adnan Kastrati, Principal Investigator of ISAR Test 4 and the Director of Cardiac Cath Lab at German Heart Centre, Munich stated "The 10-year results achieved in this trial with new-generation DES provide a strong argument against still existing concerns about the long-term safety of DES". He elaborated that Yukon Choice PC uses a unique technology consisting in the combination of special surface modification and low polymeric load for controlled and optimal release kinetics of an anti-proliferative drug. 'The excellent results are a confirmation of the great and durable performance of this device'. Yukon Choice PC stents are manufactured at the Dehradun facility of Translumina Therapeutics. The company has around 15 per cent market share in the Rs 1,500 crore Indian stents market. The trial ISAR-TEST 4 compared Yukon Choice PC against Xience (manufactured by Abbott Vascular, USA) in 2603 patients in Germany for a follow-up period of 10 years. "The long-term data from the ISAR-TEST 4 trial shall not only increase the confidence of Cardiologists on these new generation DES but shall also reassure patients who have received these DES for the treatment of coronary artery disease. I am pleased that one of these technologies is coming from India which shall create immense positivity and high acceptance for Indian manufactured DES world over" said Dr. Robert Byrne, Deputy Director of Cardiology at German Heart Center and Senior Author of the presented study.